This web site is about BIRDS! It is not about all birds, just about exotic pet birds. 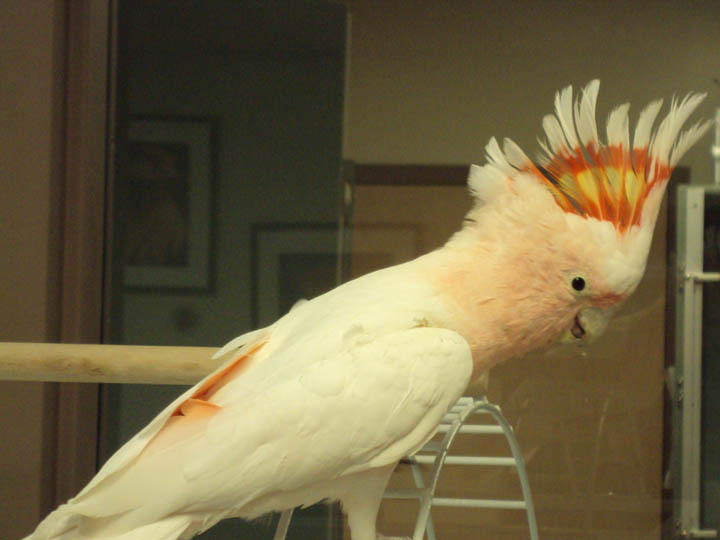 We hope this web site will give you information about caring for, choosing, and identifying the different types of exotic pet birds you are likely to find available for sale or adoption. This Website is all about pet birds. It covers several subjects. This website is gradually growing, but it is not fully complete. It currently contains discussions of the different Species, a discussion about Your bird and You, Nutrition and Health, Grooming, Training, and Breeding. This webpage was opened in September 2015. The author of this Website has more than 6 years of avian experience, and hopes to be an avian specialist in the future. The author is temporarily unavailable as of December 2017, so until further notice, no new changes on the site will take place.